This is a square Ojaco Paints porcelain sign. This particular Ojaco Paints sign is very colorful. 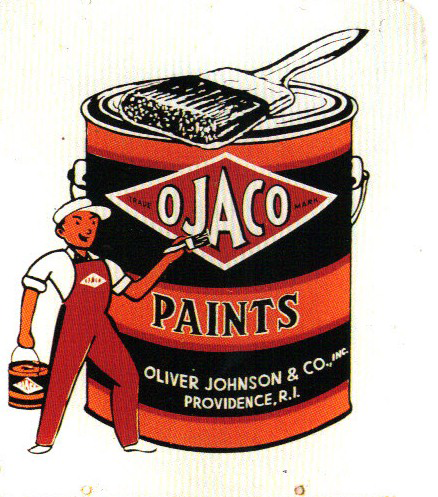 It reads, “Ojaco Paints, Oliver Johnson & Co., Inc., Providence, R.I.” and features a cartoon painter next a large black and orange can of Ojaco Paint.